A man has died after being admitted to hospital with “overdose symptoms”, West Yorkshire Police has said. Two men aged 22 and 24 were taken to hospital after they were found unresponsive in Bradford Road, Batley, at about 4.30am on Sunday. The 22-year-old died later on that evening. The 24-year-old remains in a stable condition in hospital. 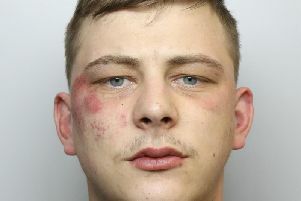 A third man, 19, was admitted to Dewsbury and District Hospital after attending at about 6.15am on Sunday and has since been released from hospital. Detective Inspector Stef Wiseman, of Kirklees District CID, said: “At this stage we are unable to establish what these males have taken, however, we can say that all three presented with overdose symptoms and tragically one young man has lost his life. “Our thoughts are with his family at this understandably devastating time. “I would though like to take this opportunity to remind people that there is no safe way to take drugs. Anyone with information about people supplying substances is asked to call police on 101 or to report it anonymously to the Crimestoppers on 0800 555111.